Tinytags have been installed at the newly established British Cave Monitoring Centre at Pooles Cavern in Buxton, Derbyshire. The British Cave Research Association (BCRA) has chosen Tinytag temperature, relative humidity and drip count radio data loggers to provide continuous data at the first permanent cave monitoring centre in the UK. Gemini Data Loggers is delighted to have been involved in the creation of this Project which is expected to become a focus for cave science within Britain and beyond. The goal of Project is to implement a long term cave climate and environmental monitoring station, with the data used as part of cave related scientific studies and made available remotely to interested parties. 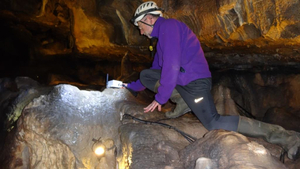 Find out how robust, waterproof Plus Radio data loggers provided an ideal solution by reading the full case study: Tinytags used at the British Cave Monitoring Centre.